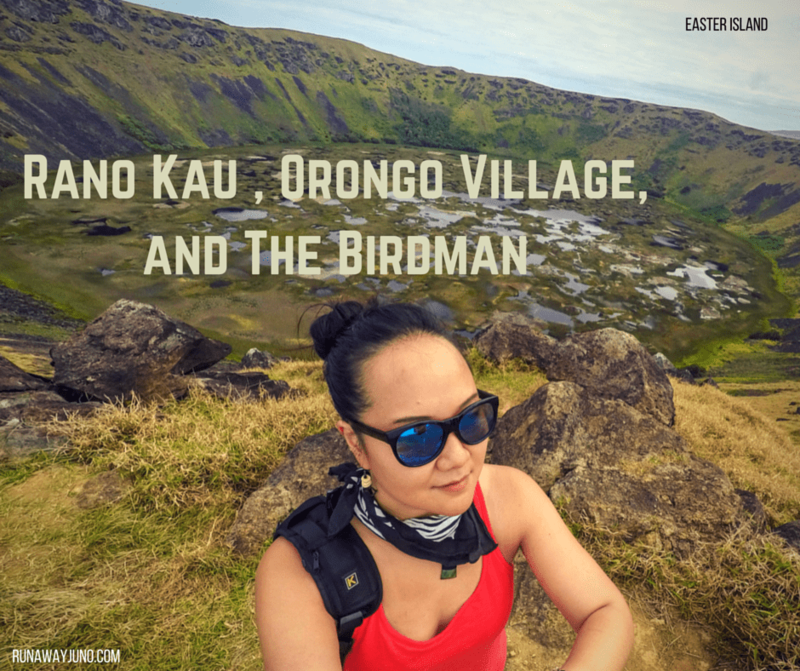 In the southern coast of the Easter Island. 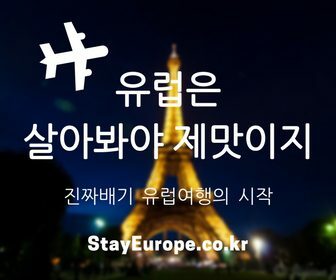 A group of travelers are cheerfully chatting in the van. The van goes around the corner. Two women in front, casually look out the window. I will never forget that moment. It was like I was watching a scene of a screenplay from above. We knew where we were going, but still, the first sight of the majestic ahu was something that could take one’s breathe away. It’s amazing how much we don’t know about our past, even if it’s considerably recent. I’m talking about the history within last thousand years. When we know so much about the ancient world, the unknown of the new world is astonishing. 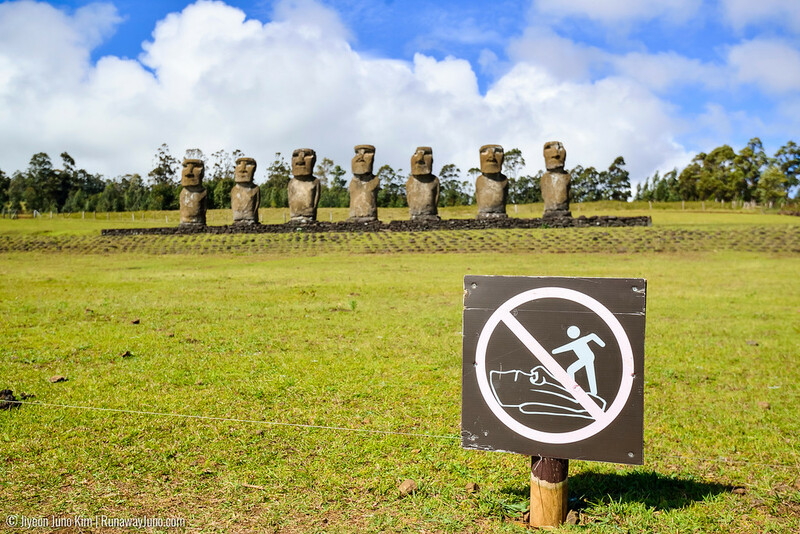 Easter Island is not an exception. 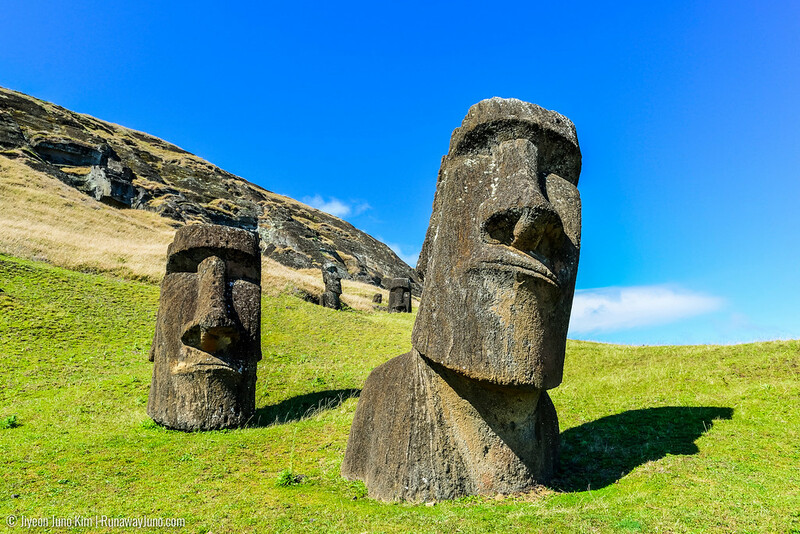 Moai statues are known to be made within 1250 and 1400 AD. 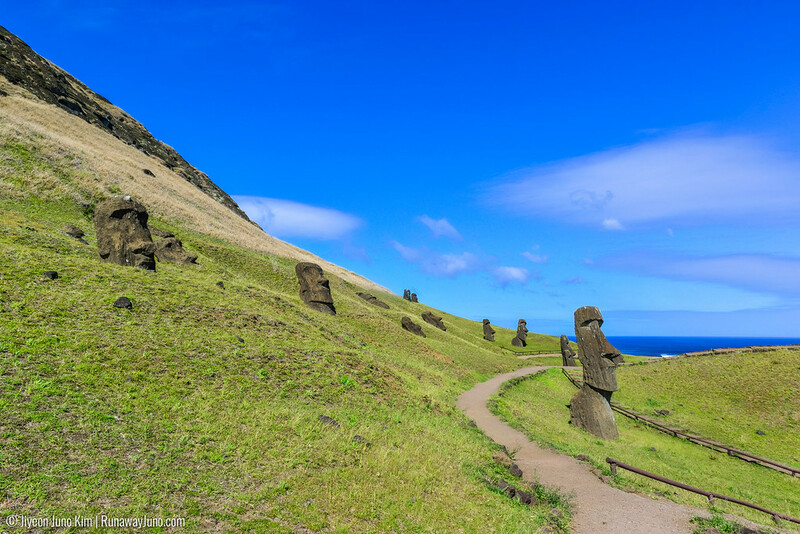 Although there has been a lot of studies about the statues and the Rapa Nui culture, the exact story behind of these magnificent statues are still not clear. With or without the fact however, these statues speak in silence. 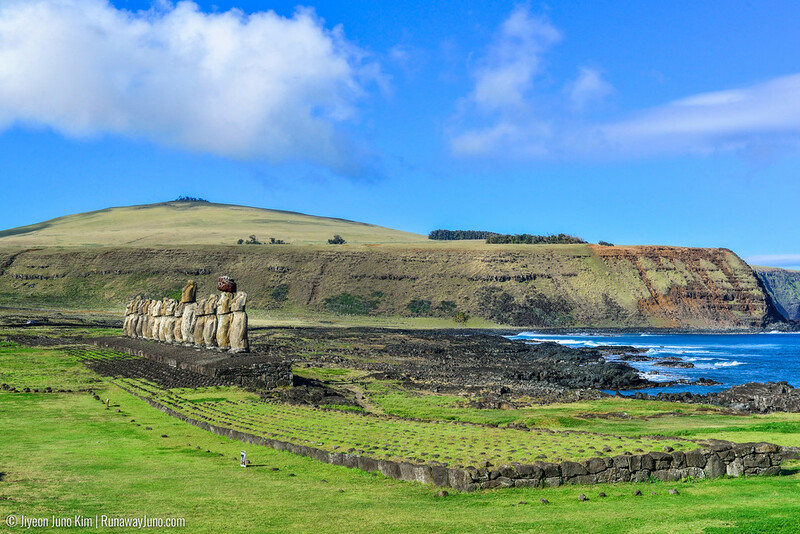 The signature scene at Rano Raraku, more commonly known as quarry, where 95% of the moai statues are made. 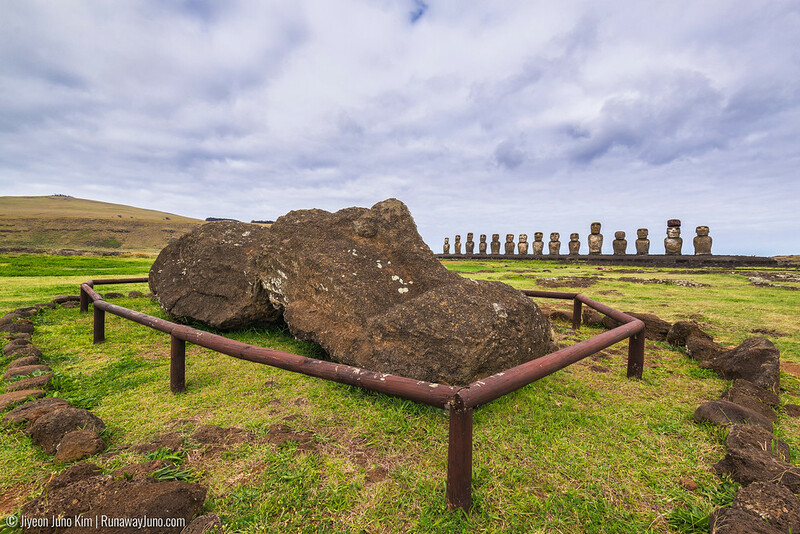 The first ahu (platform) and Moai I saw was Ahu Tongariki, the famous “Fifteen”. It was a great choice as the first moai sighting. The glimpse of it was enough for us to stop breathing for a second. Ahu Tongariki is the largest ahu in the island, and one of the statues is the heaviest ones ever erected. 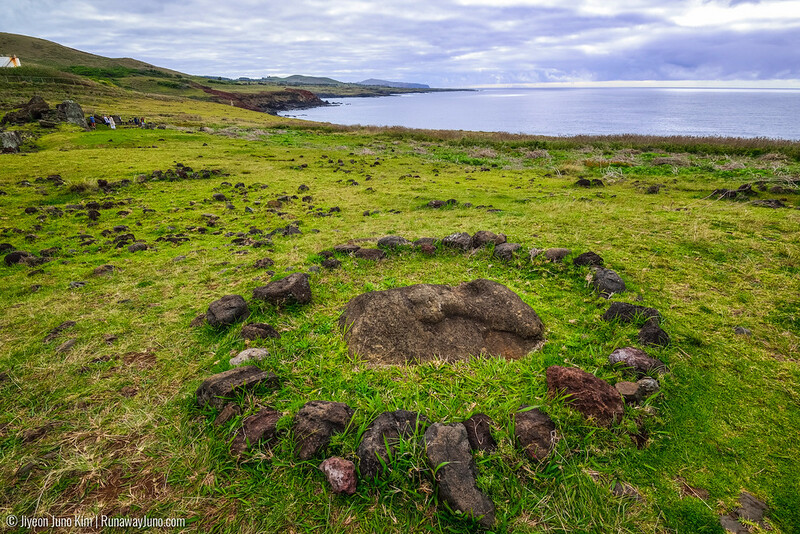 Of course, it’s possibly the most impressive site in Rapa Nui. The first day at Tongariki was cloudy, but I thoroughly enjoyed looking at the statues up-close. I pinched myself, still couldn’t believe that I was here, facing the modern mystery. During the five days in the island, I went back to this very place 4 more times. There are many moai statues on the ground. It’s a good opportunity to see them up close! This one is at Ahu Tongariki. 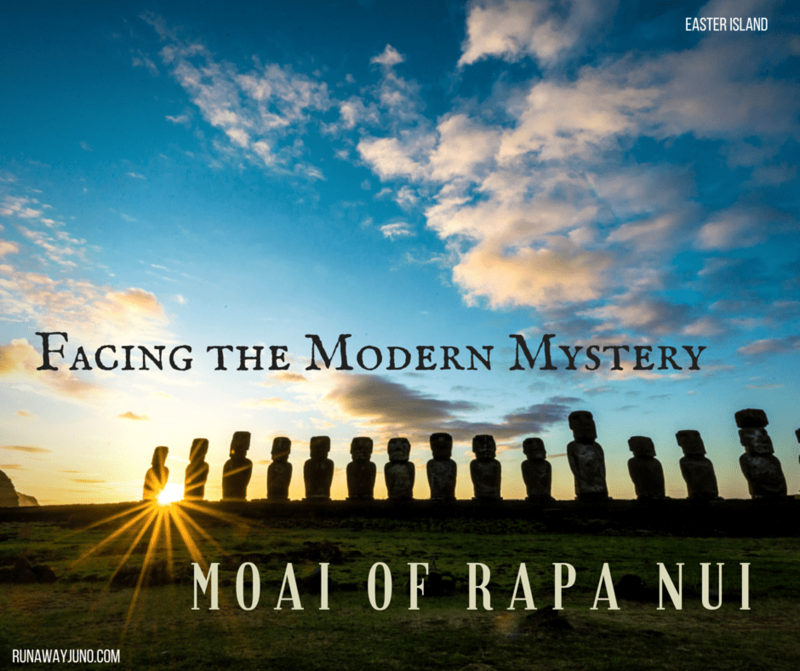 There are 887 extant moai statues in Rapa Nui. The overly large heads, fish-hook nose, thin lips, and long years are the typical style. The arms were carved in bas relief with long slender fingers. Some statues show the details of the outfit and body painting. 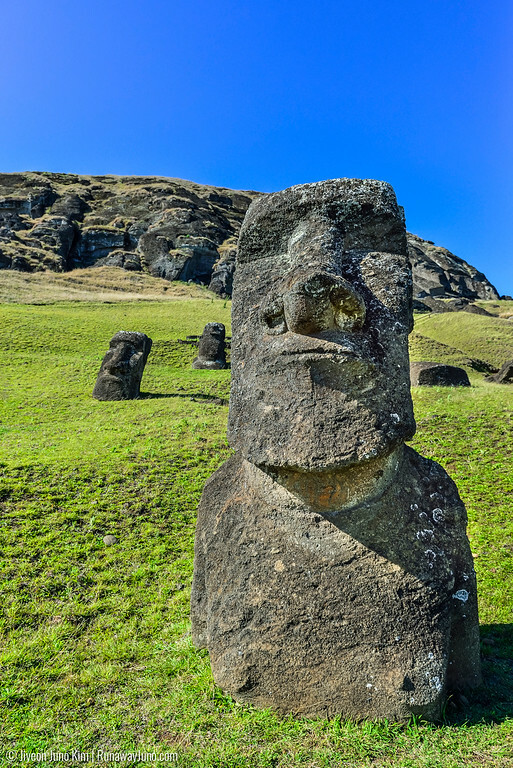 To see more intimate view of the statue, find Rano Raraku, more commonly known as the “quarry”. It’s like time has stopped, like someone pressed a pause button of a movie. 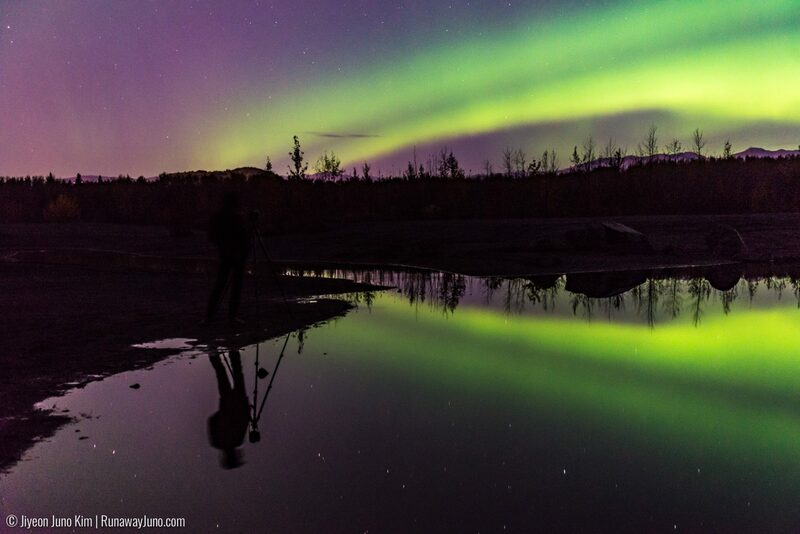 As I was standing on the edge of the quarry, an old movie scene was playing in my head. The carvers were working hard on these statues, and they saw something happened from afar. A commotion. They all stopped working, abandoned the tools, and hurried themselves out of the quarry. Maybe it was a natural disaster, a civil war, or something else. 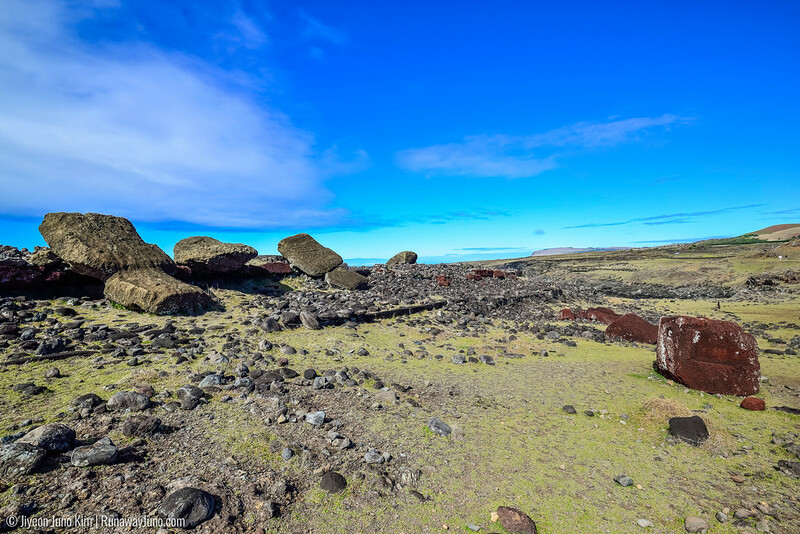 Archaeologists found many carving tools in Rano Raraku to this day. 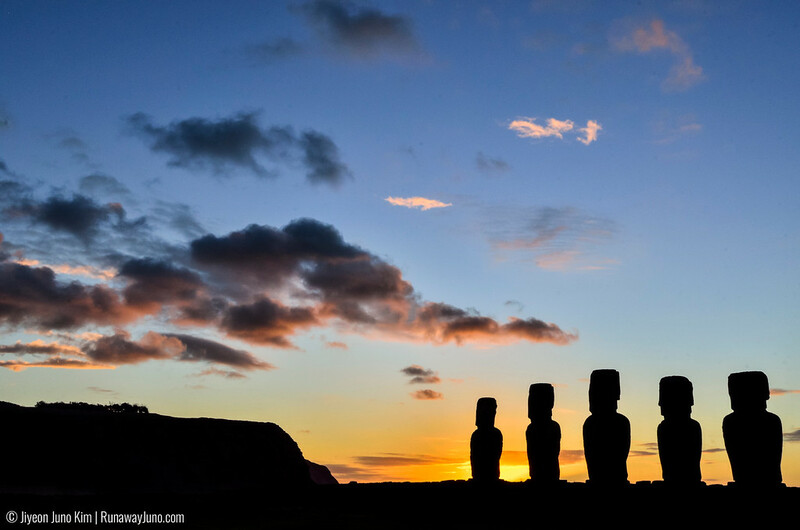 Can you count how many moai statues you see in this photo? Moai is a spiritual being. When the carved stone or wooden objects are properly fashioned, Polynesians believed that the objects could be charged by mana, a magical spiritual essence. Archaeologists believe that the statues symbolize authority and power, both religious and political. 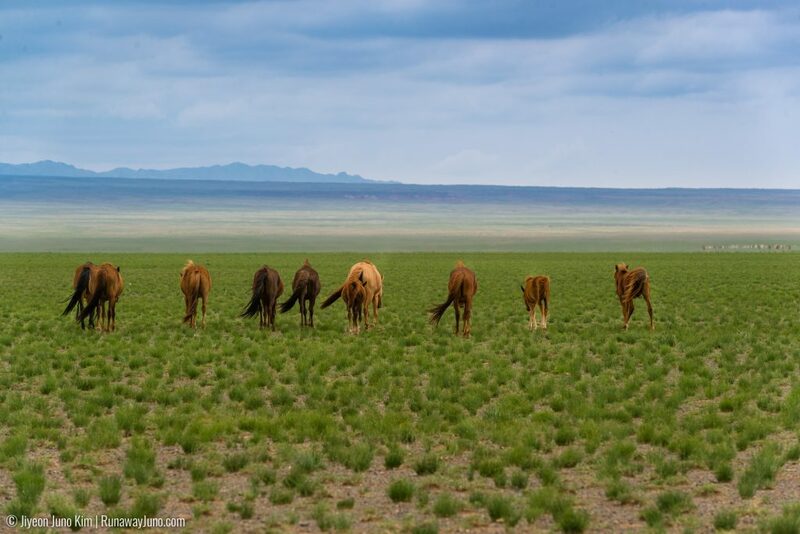 It represents deceased ancestors, as ahus were burial grounds. Most of them are located along the coast and facing inland. The statues face towards the inland as they are watching over the people, except Ahu Akivi, the furthest inland of all the ahus that are facing the ocean. Ahu Akivi face out to the sea to help travelers find the island. All the statues were found toppled after 1722, due to the conflict between clans. Only about 50 moai statues were re-erected to this day on the restored ahus. 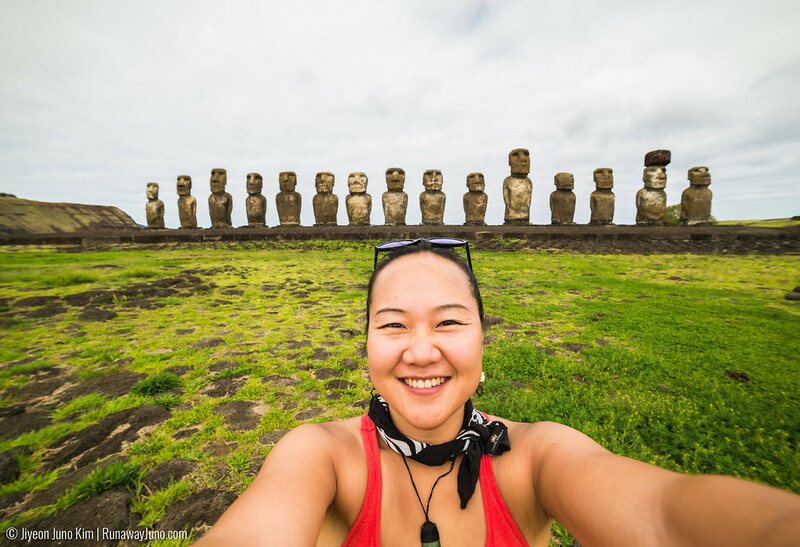 “Where can I see the moai statues?” was my first question when I landed in the island. I wasn’t sure what to expect. “Everywhere!” my Rapa Nui friend Tavi said. I was excited but skeptical at the same time. How can it be so easy to see? I was dreaming about this moment for as long as I remember. The years of expectation created a great gap between the reality and my imagination. For all I know, moai sighting must be as hard as seeing a white rhino in wild. Soon enough my imagination got shattered and I couldn’t be happier that it did. In fact, you can see the statues ‘everywhere’. They are all around the coastline. Most of them are still physically toppled (face down), but the mana is still vividly alive. 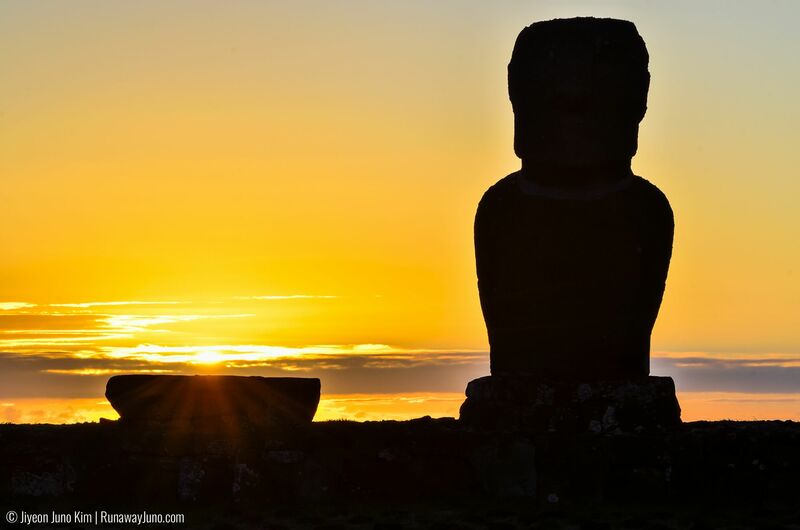 Ahu Akahanga: All the statues were found toppled after 1722, due to the conflict between clans. Only about 50 moai statues were re-erected to this day on the restored ahus. Each ahu is known for the unique characteristics. 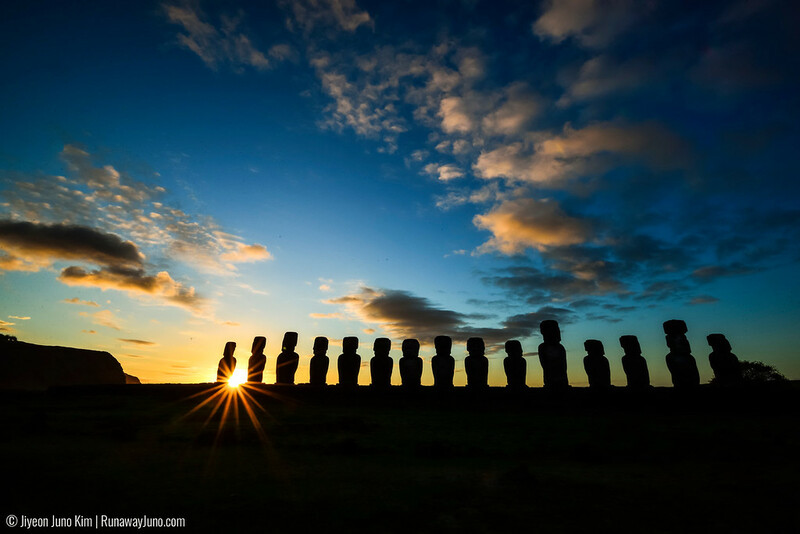 Ahu Tongariki, the “Fifteen” in the southeast coast is the grandest and most impressive site, and also a good place to see sunrise. Ahu Tahai complex is most well known for the sunset. 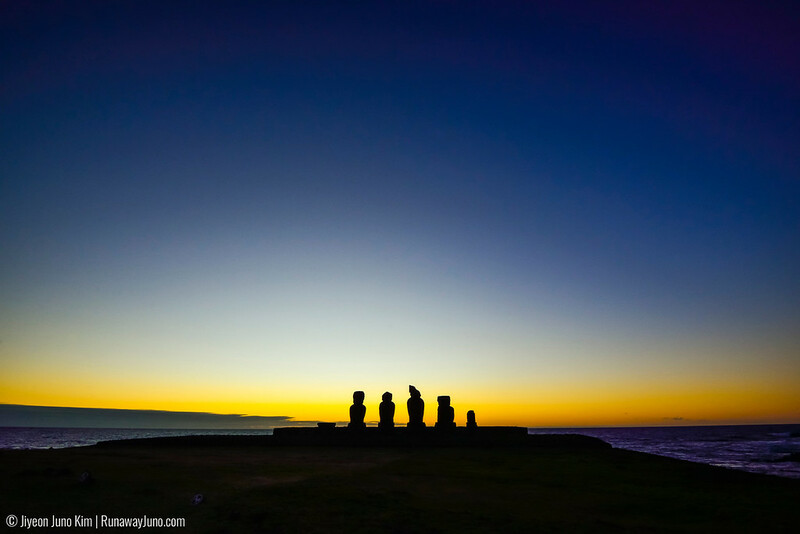 Here there are three ahus including Ahu Ko Te Riku which is the only moai has restored eyes. Ahu Akivi, the only ahu facing the ocean has seven (almost) equal moai statues unlike other ahus. Paro at Ahu Te Pito Kura was the tallest moai ever erected. There are still more than 300 incomplete moai in the quarry including the buried ones. I recommend to walk between the ahus, rather than drive. Something so grand and meaningful deserve hard work. Machu Picchu is even more impressive if you spent five day trekking over the mountain. 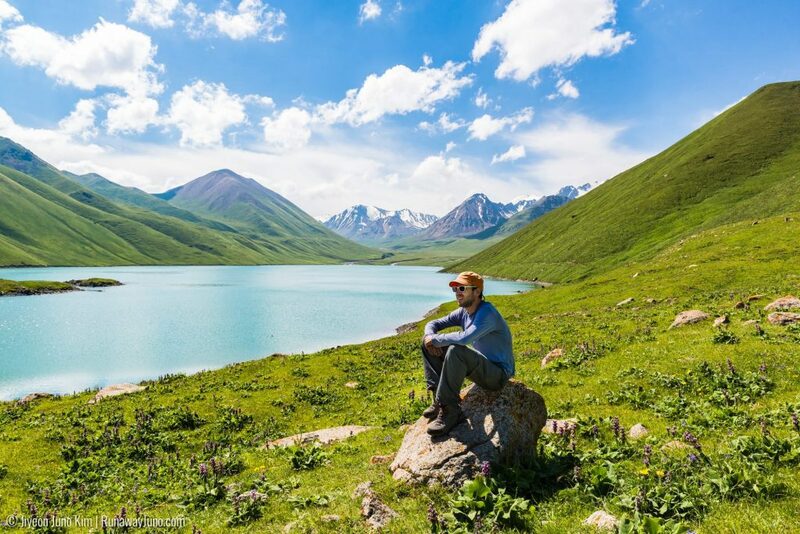 The view from the mountain top is even sweeter after a hard day of hike. Moai statues feel more spiritual when you put more effort into them. That’s what I believe. We visited many ahus over the five days, and each time my heart stopped for a second. A little nerdy girl inside of me did a little twirl around the mana. How can you not? The silent yet roaring power of moai is simply inspiring. 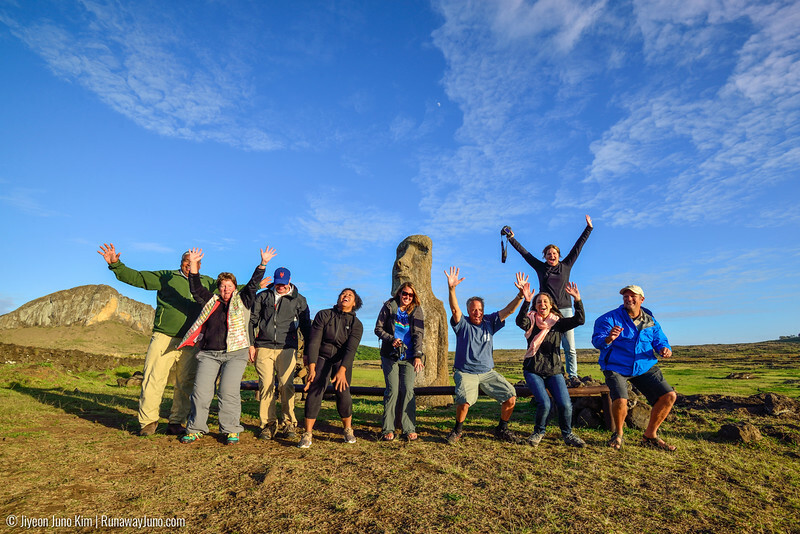 #I was a guest of explora Rapa Nui and Chile Tourism as a part of Adventure Travel World Summit 2015. All of the images and opinions are strictly my own. what a unique, remote spot on earth! I agree! It’s one of the furthest inhabited islands on earth! The culture here is very interesting too. 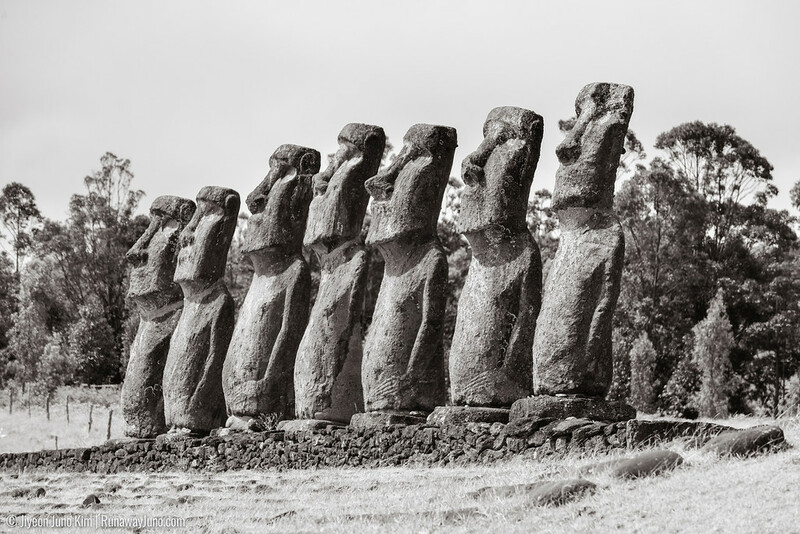 What a wonderful post to know about the history of moai ,the pics looks fantastic and thanks for sharing the post.